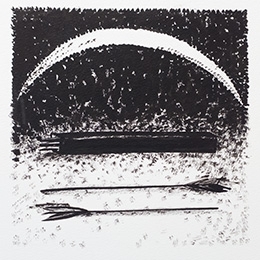 NorthArt o Malcolm Harrison - A Celebration - 27/01/2018. 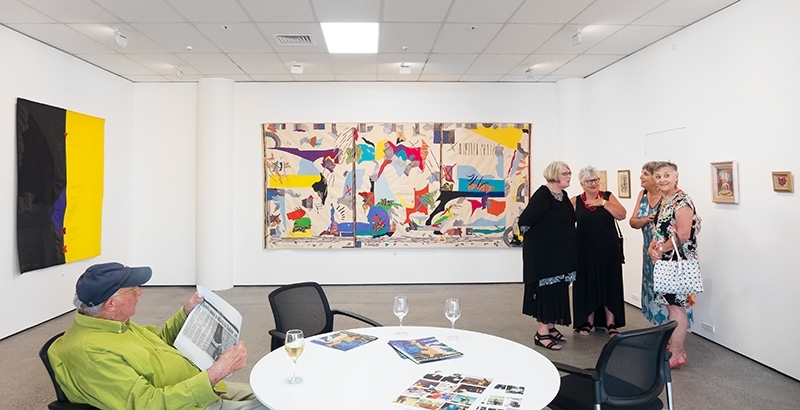 A touring exhibition by Waiheke Community Art Gallery, curated by Cerys Dallaway Davidson. 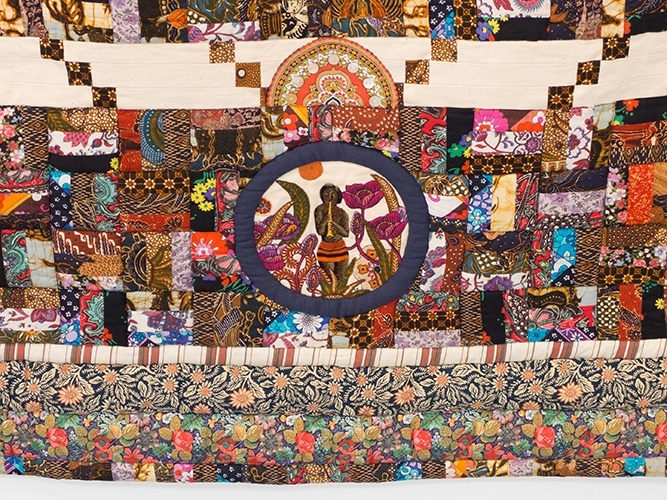 Between nocturnal pools of rigid light, 1990 - machine quilted and appliqued cloth. 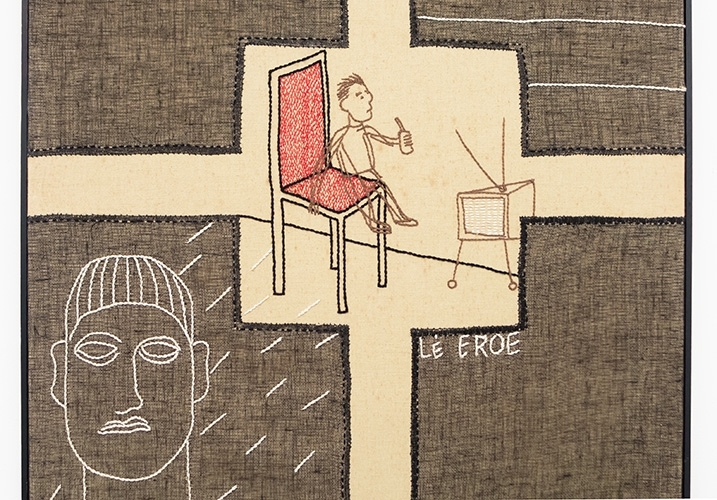 LÉ EROE, date unknown - embroided linen. 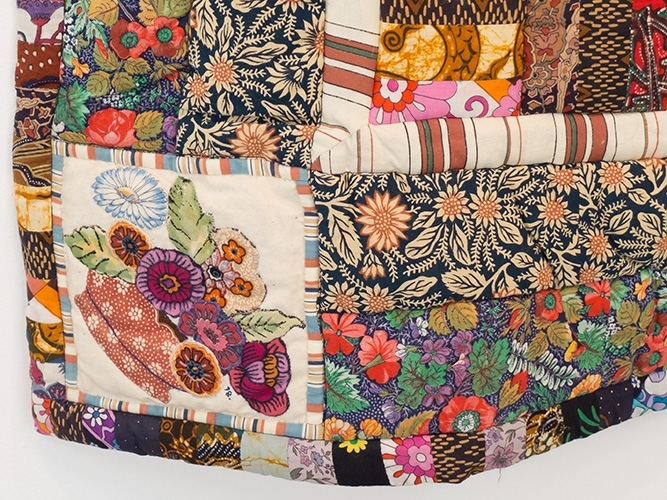 with embroidered sections - detail. 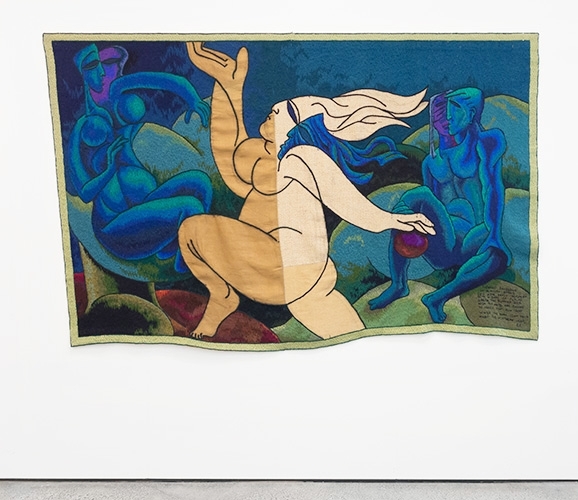 Hekerua Bay, date unknown - embroidered linen. 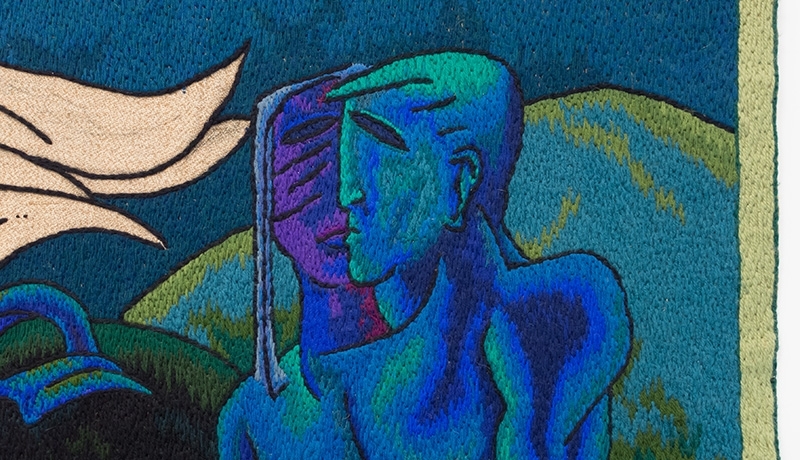 Metamorphosis, 1987 - machine quilted and appliqued cloth - detail. 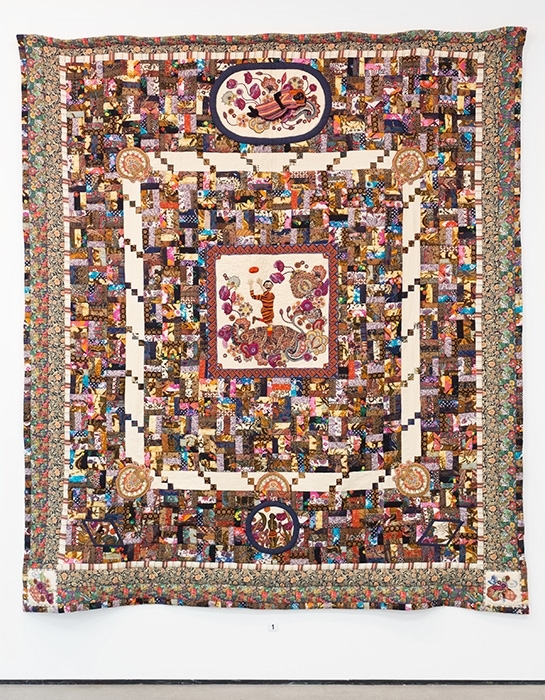 Mortal Angels, 1989-90 - machine quilted and appliqued cloth. 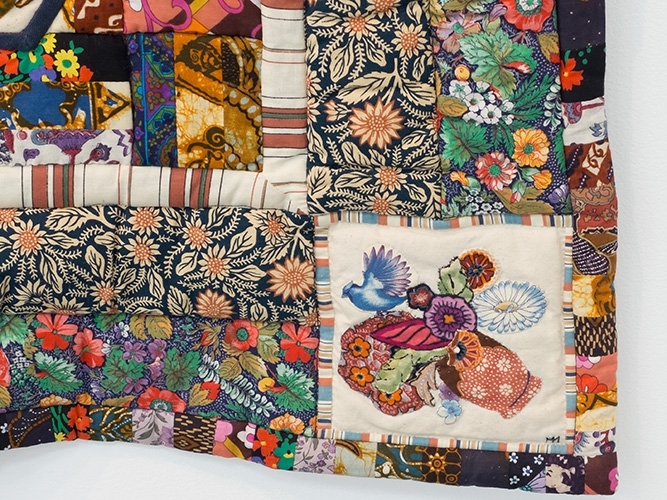 Mortal Angels, 1989-90 - machine quilted and appliqued cloth - detail. 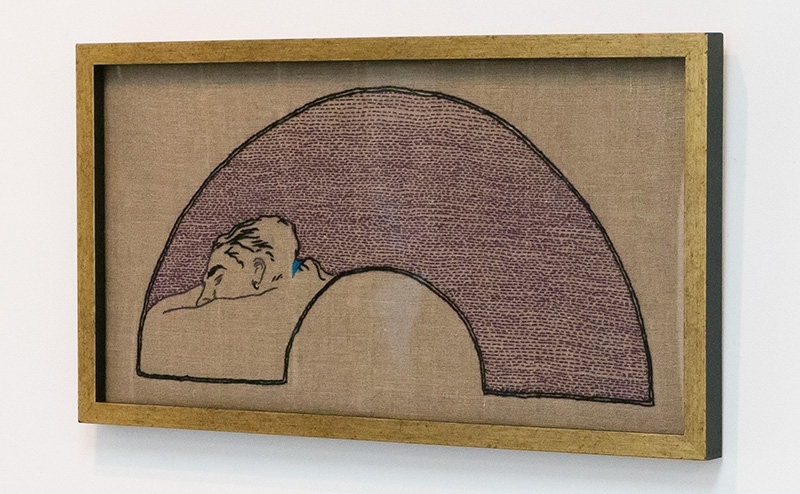 Untitled, date unknown - thread on linen. 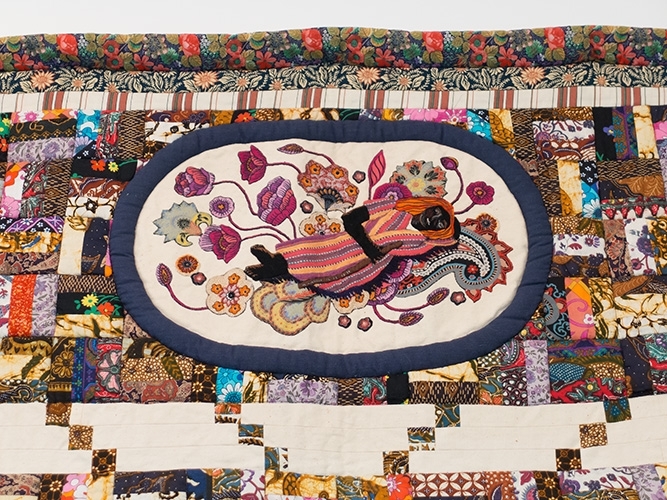 Lady Harwarden's Room II, 1982 - machine quilted and appliqued cloth. 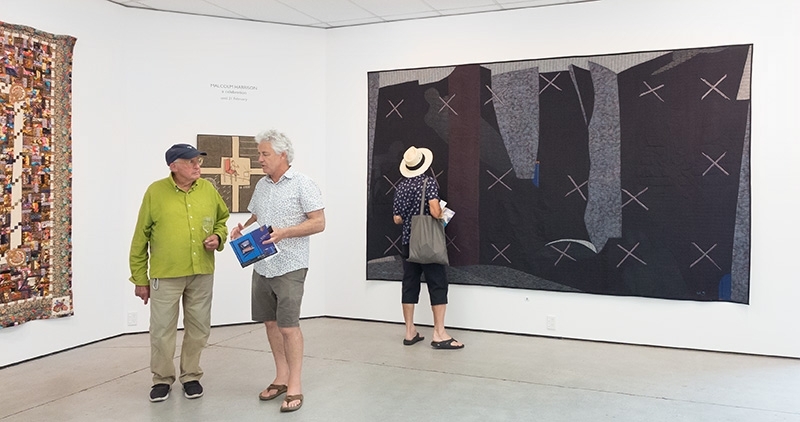 Russian Caviar Room II, 1991 - machine quilted and appliqued cloth. 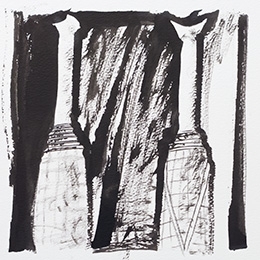 Exquisite Mysteries Suite, 1991 - ink/paint on paper (3 of a group). 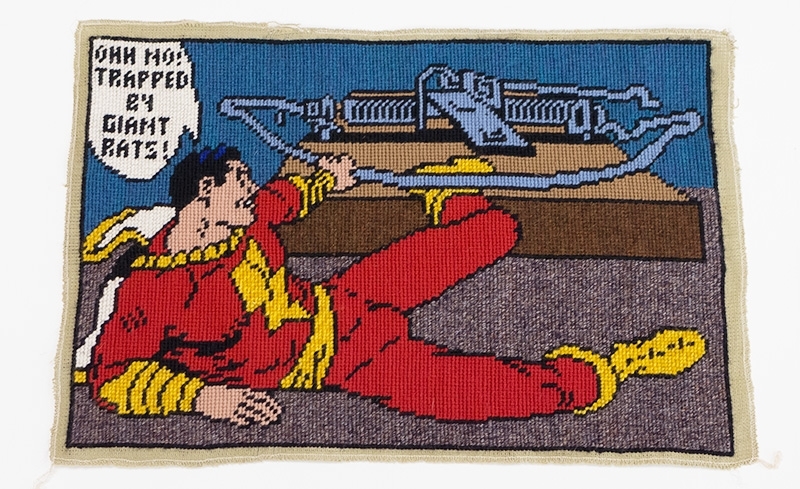 Unfinished untitled cushion covers, date unknown - wool embroidery. 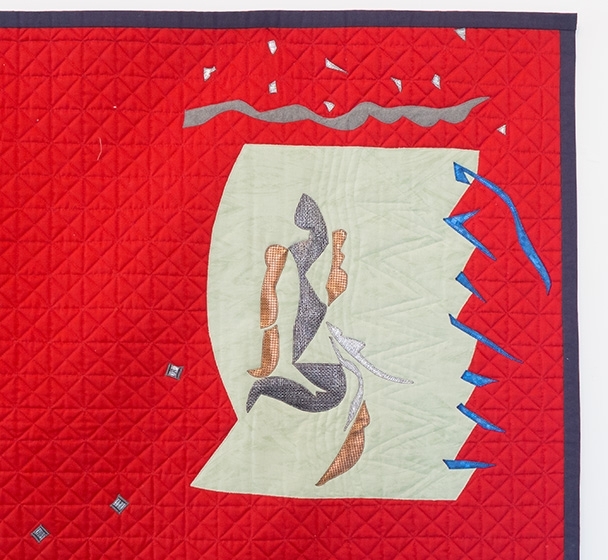 Canoes with red interior, 1984-87 - machine quilted and appliqued cloth. 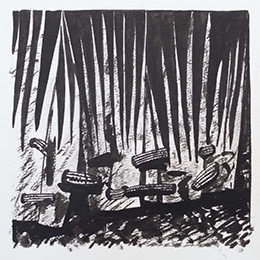 The Four Seasons, 26/03/1966 - ink on paper. 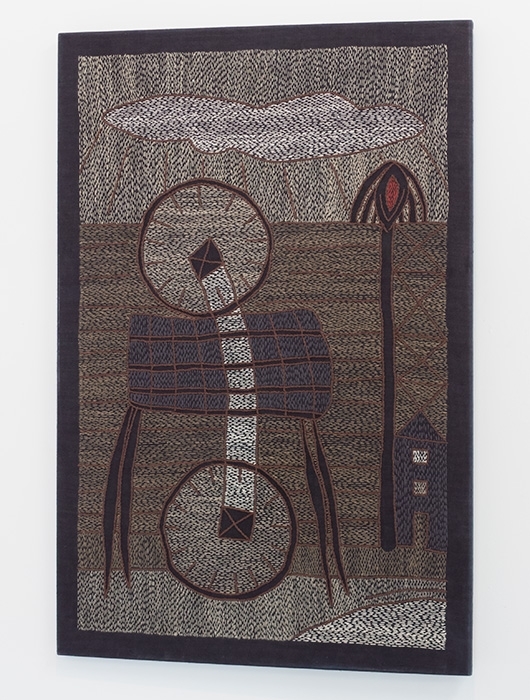 Untitled ('Evening shadows on Autumn Spring...'), 1968 - unfinished wool embroidered tapestry. 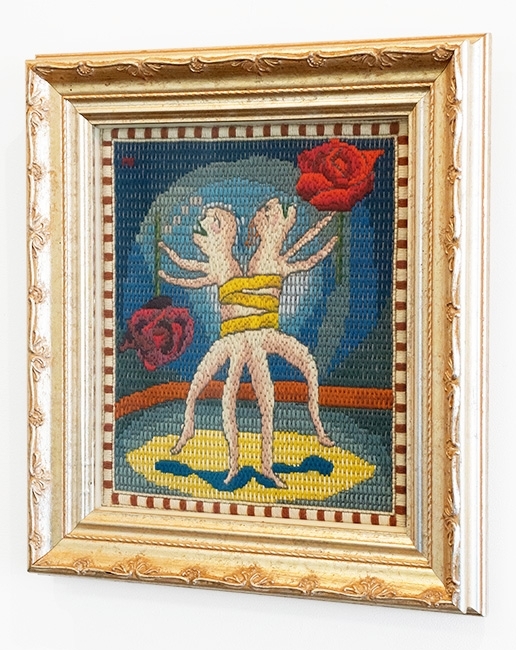 From exhibition 'Living in Wonderland', 1996 - wool embroidery. 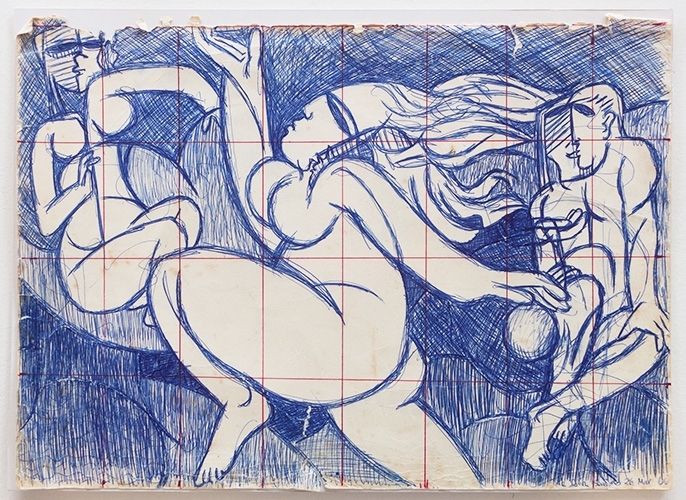 Blueprint Altarpiece IV:Noli Me Tangere, 1984 - bronze. 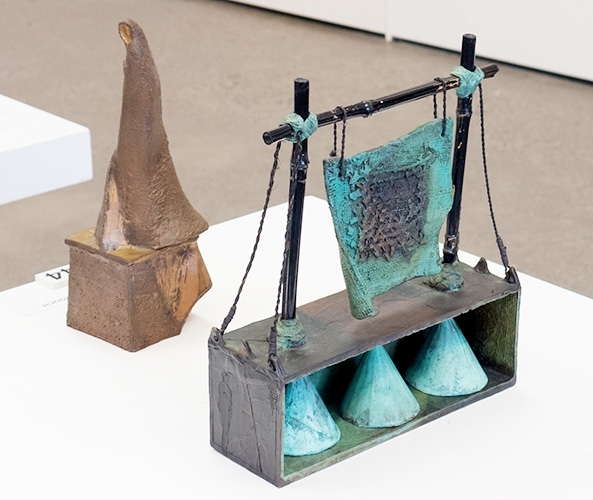 - bamboo, fibre twine and bronze (front). 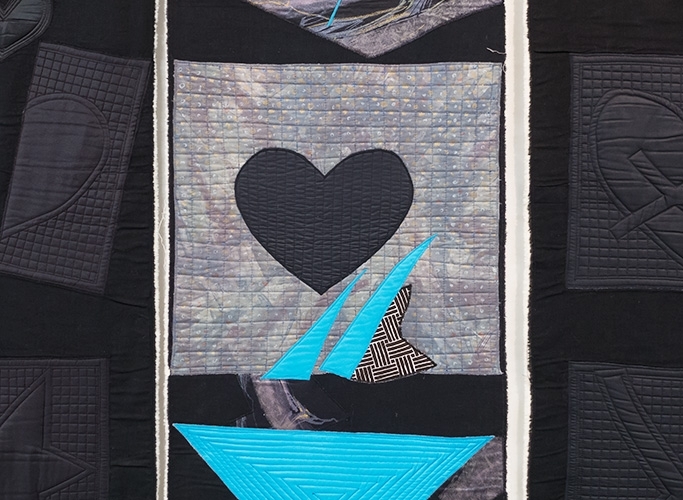 Kissing death, 1990 - machine quilted cloth (left). 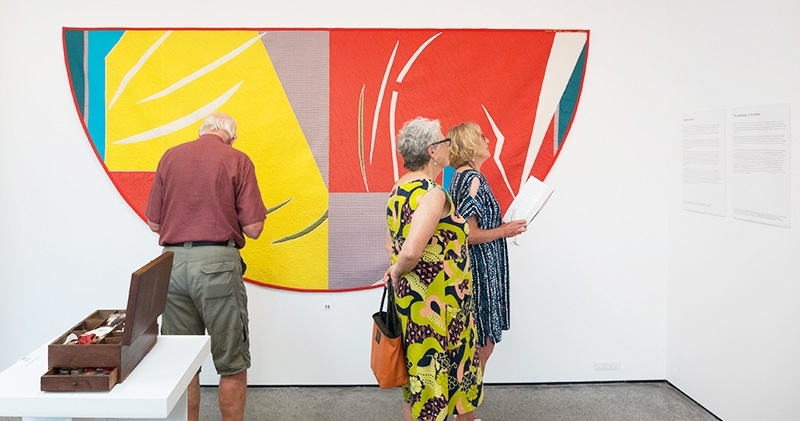 3 nights in Stockholm (white levi's), 1990-91 - machine quilted and appliqued cloth (centre).